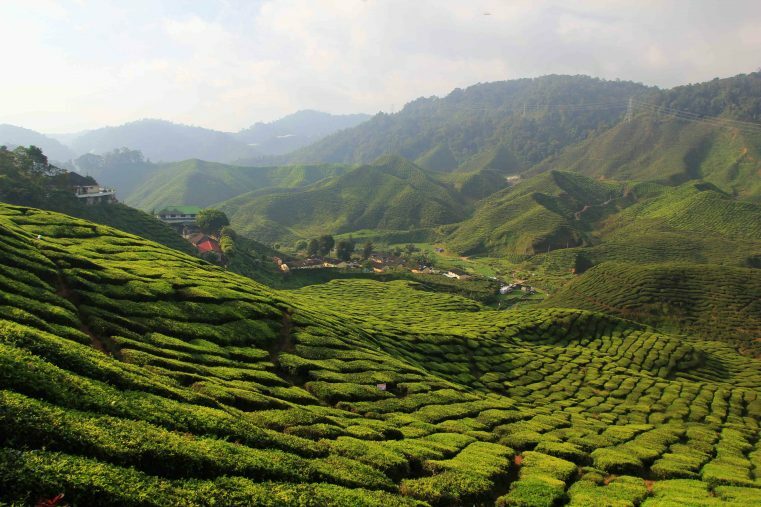 Why should you visit Malaysia for backpacking? 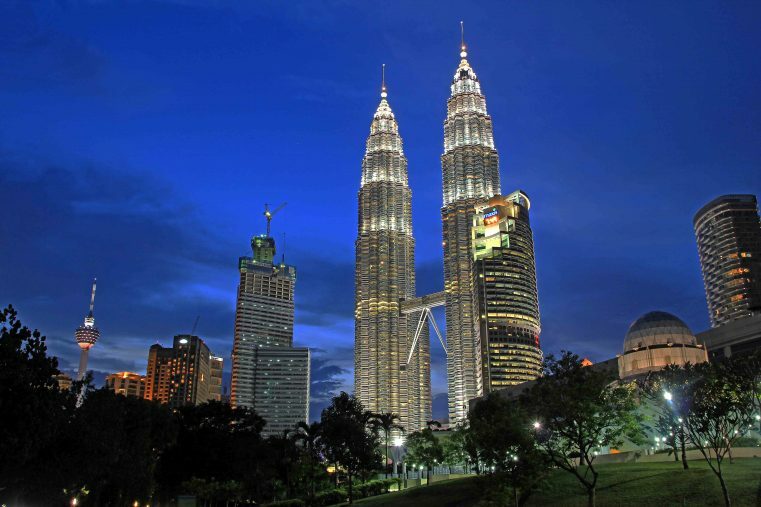 Malaysia is a fantastic travel country, with lots of great things to explore and to do. There are not only the most beautiful landscapes and great islands with some fab beaches, but also modern cities, deep jungles and some huge mountains. Malaysia belongs to the easiest countries for backpacking in South East Asia and many backpackers travel through this country! Transport, either bus or flights are easy to organize and there are plenty of budget accommodations to find. 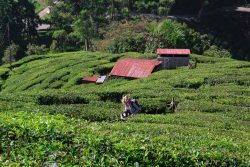 This Malaysia Backpacking itinerary will be a great source if you consider this amazing country for your next trip. 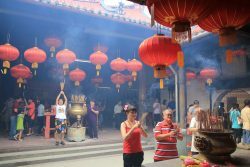 We will show you the best places to visit in Malaysia, give you a Malaysia itinerary and surely some general travel tips for your next backpacking trip! This fantastic island was our first destination when we arrived in Malaysia. We came directly from Thailand, where we had a great time on our Thailand Island hopping tour. Langkawi is not far from the border of Thailand and easy to reach by ferry. Because of its status of a „duty free“ island, the prices at the island are incredible cheap. 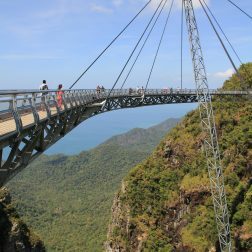 But this should not be the main reason to visit Langkawi – there are plenty of amazing sights and beaches. 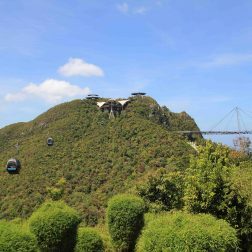 The best must see thing is to take a ride with the SkyCab, a cable car that takes you up to the Mt. Machincang. From there you have to visit the SkyBridge – definitely for those who have no fear of heights! Additionally we recommend renting a scooter and explore the island by yourself. It’s safe to drive around and the island is not that big. 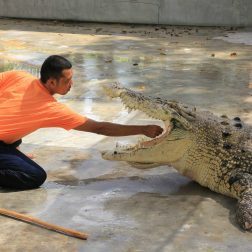 We also visited the scary crocodile show in the Crocodile Adventureland Langkawi – Jalan Datai, the Telaga Tujuh Waterfalls and the Underwater World Langkawi which was also nice to visit. Next time we will definitely stay longer, to see more of the great spots of Langkawi! 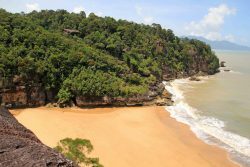 The Pantai Cenang beach area is the best place to stay for travelers and backpackers. 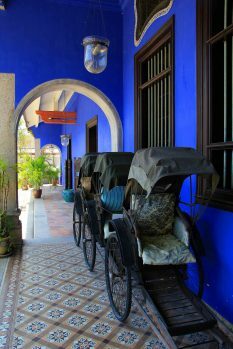 There you are going to find motorbike rentals, shops, restaurants, a beautiful beach and certainly some budget guesthouse options. Penang was so cool! 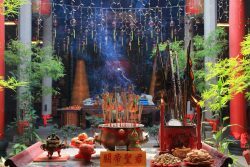 We had such an exciting stay there – sometimes you are not sure if you are still in Malaysia, in China or in Europe. 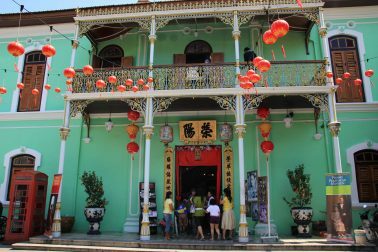 George Town, the capital, of Penang, has a unique multicultural history and is a UNESCO World Heritage Site. 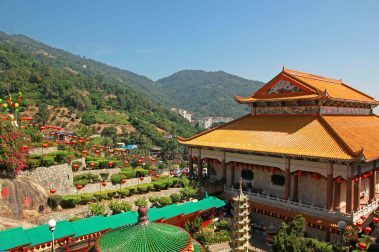 The city is full of historic buildings, starting from churches, and British colonial monuments to Chinese shop houses and temples. 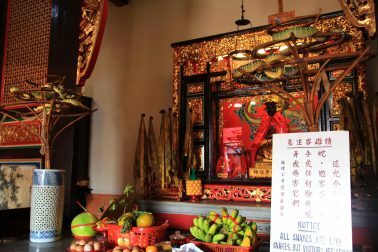 Backpackers love the food culture in Penang, especially in George Town you can explore the best food scene in Malaysia. 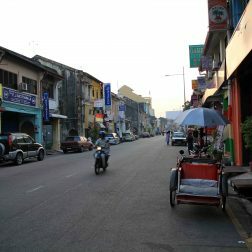 George Town has a huge backpacker scene where you can find plenty of recommended budget accommodations. 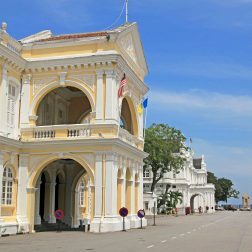 Bye the way, here is a fantastic guide for backpacking in Penang! 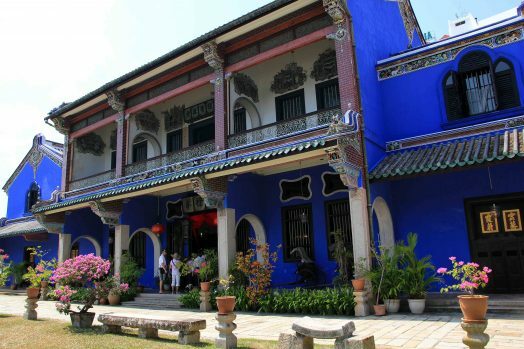 The Blue Mansion – Cheong Fat Tze is a must see if you are visiting George Town and the most popular tourist attraction! 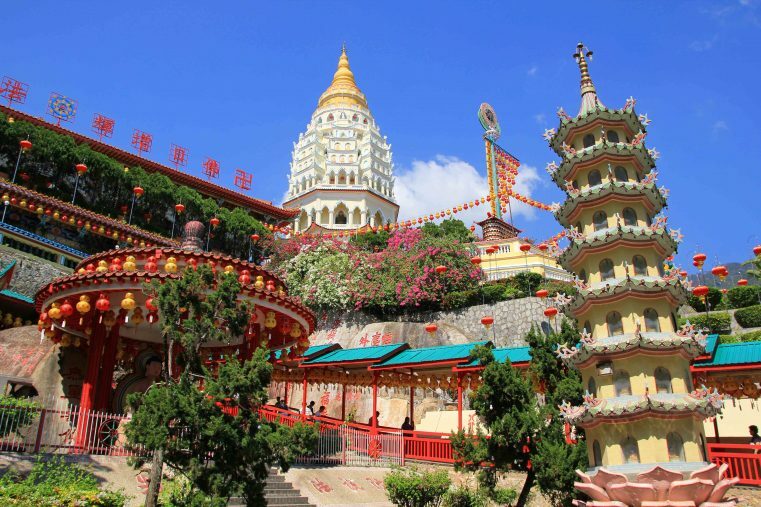 Really worth a visit is the colorful Kek Lok Si Temple near George Town which is home to more than 10.000 Buddha statues! 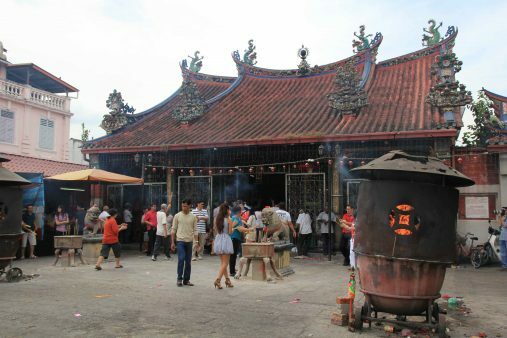 It’s also an impressive adventure to visit the Snake Temple – 12 km from George Town. Inside of the temple it was so tranquil, the air was filled with holy smoke and the snakes seemed to be asleep – luckily! 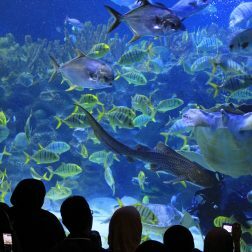 Is a popular destination for Malaysia visitors who want to escape some days from the hot climate. Above all, the stunning hill station is a perfect place for hiking! There a plenty of hiking trails, we had been up to the Gungung Brinchang and inside the moosy forest. Easily you can stay there a few days, it’s so relaxing there. 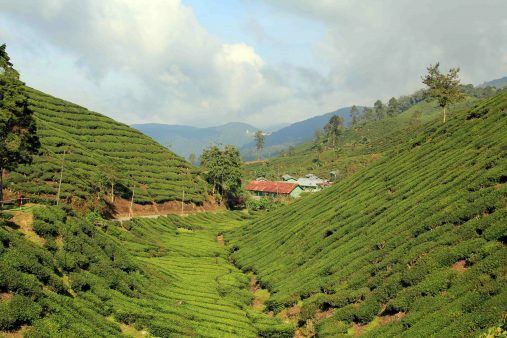 For exploring the area and the beautiful green tea plantation it is best to hire a motor scooter. It was fun driving around and to stop wherever we found a great place for taking pics and drinking tea. Just near to each tea plantage are cute tea-shops where we tried some delicious black teas. 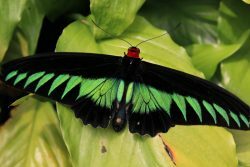 Additionally you can visit plenty of tourist attractions like butterfly farm, strawberry farm, Cactus Valley and Honey Bee Farm. 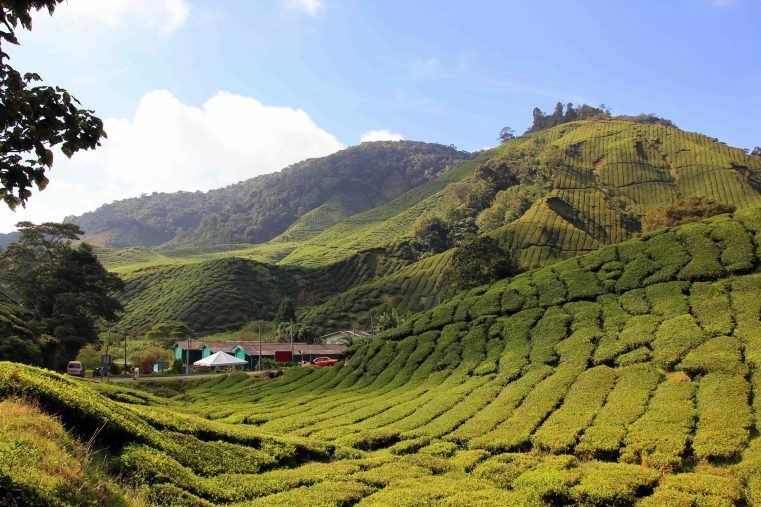 For the night we stayed in Tanah Rata, in this little town there are plenty of backpacker accommodations, tour operators and it’s a perfect starting point for exploring the Cameron Highlands area. Moreover, there are lots of delicious Indian restaurants. 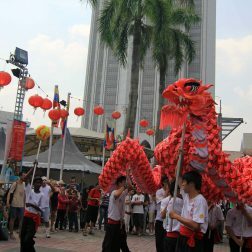 Kuala Lumpur is one of the most popular destinations for backpackers in South East Asia and such a great city to visit! The Petronas Twin Towers with its 452 m are just breath taking and the must-see in this town. You should go there in the evening, then the towers are alight, and they look even more majestic! 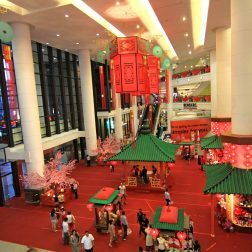 If you love shopping you have to go inside the towers, there are plenty of different shops and restaurants inside. Additionally we visited the Aquarium in this huge complex. We didn’t go up to the towers but we visited the nearby Menara KL Tower with 421 m. From there you will get the most fantastic view of the town and trough the Petronas Twin Towers. 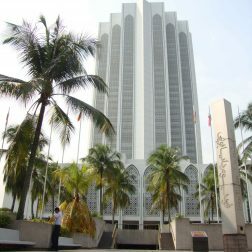 Even though the Petronal Twin Towers are the main attraction in Kuala Lumpur, there a plenty of other sights to visit. Another must see it’s the Merdeka Square with the tallest flagpole in the world, Jamek Mosque the Masjid Negara Mosque and the Planetarium Negara. 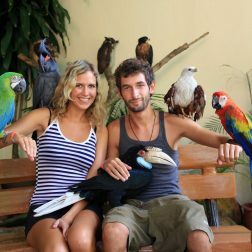 Also cool is the Bird Park in Kuala Lumpur, a giant garden full of different Asian birds flying around freely. 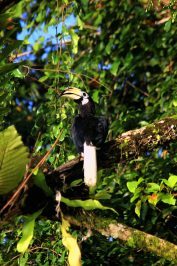 You can admire the colorful parrots, there are flamingos and even hornbills. We stayed in China town, a vibrant backpacker district in Kuala Lumpur. There a plenty of backpacker guest houses and it’s located very centrally with walking distance to many sights. Additionally you will have a wide range of shops, tasty restaurants and food stalls. 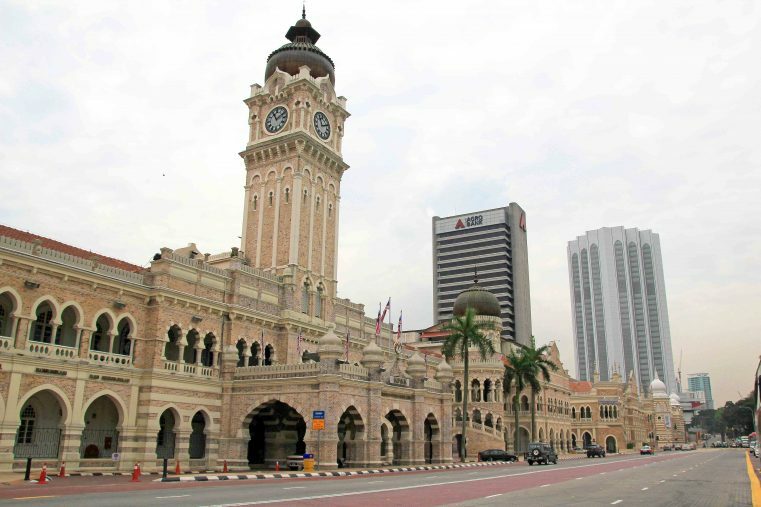 If you want to read more about KL, check out the Kuala Lumpur Itinerary. 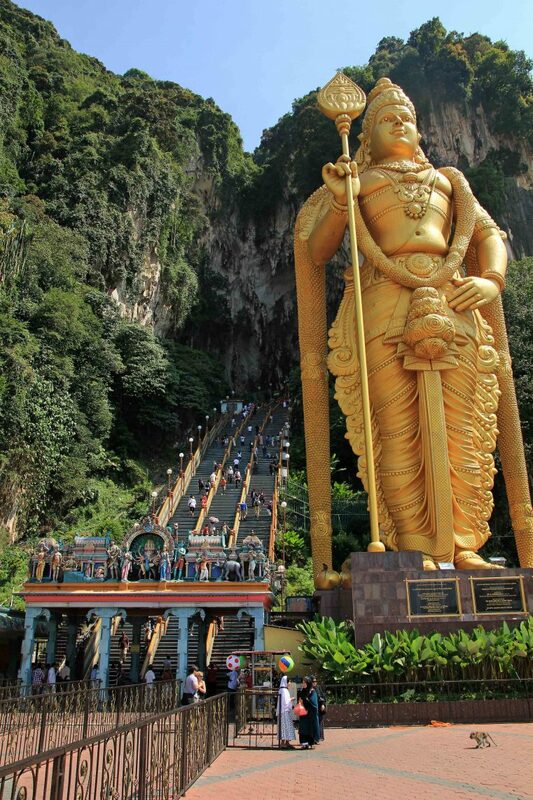 Just around 15 km north of Kuala Lumpur are the spectacular Batu Caves. 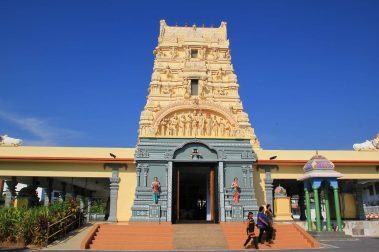 Visiting the most important Hindu temple outside of India was just an incredible experience – we had been to India before – but still we were amazed. There is a 15m tall version of the Hindu God Hanuman just at the entrance of the cave. Full of adrenalin we walked up the 272 stairs to enter the caves. That was quite fun cause lots of monkeys where waiting for us. 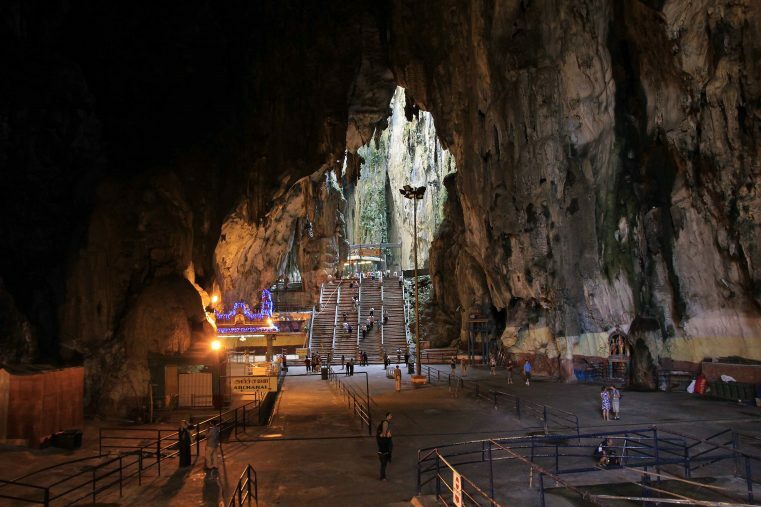 The Batu Caves are unbelievable huge – just feel free to walk around and take pics – but don’t forget you have to be dress properly before entering the holy caves! Malaysia has, like Thailand, plenty of islands to explore. We were in Tioman, but just for one night because sand flees disturbed our stay. 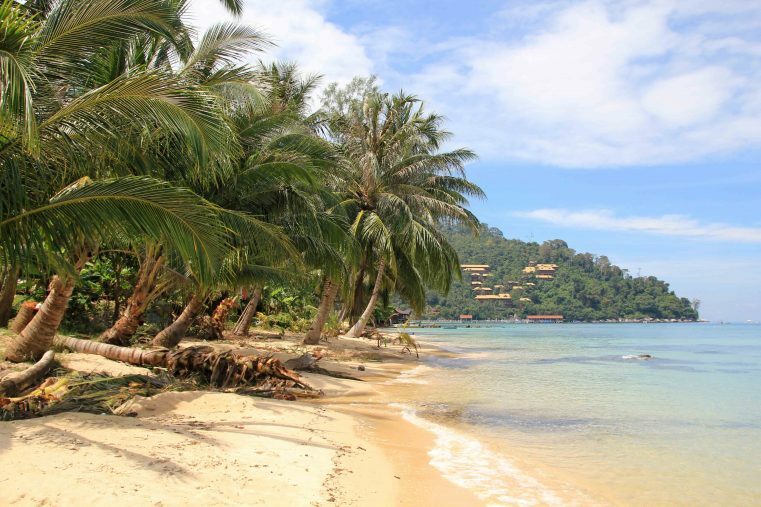 Although Tioman is really beautiful we had to leave the island on the next day to avoid some more nasty bites – Luckily we had been spoiled with great beaches and islands on our Thailand Island Hopping trip so it was okay for us to leave earlier. 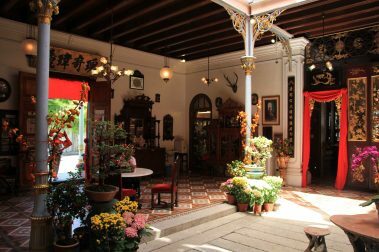 Because of the better budget options, backpackers prefer to stay at Salang and Air Batang. If you guys not have enough time to flight to Borneo but you would love to visit the jungle you should definitely visit the Taman Negara National Park. 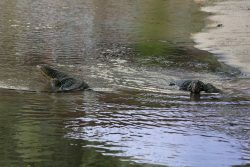 The place is a paradise for nature lovers and it’s well known for the deep jungle trails, camping and rafting tours. 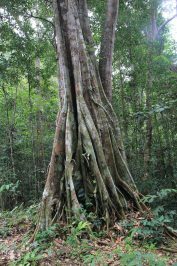 Rainforest tours and excursions can be booked in may agencies and hostels in advanced. Generally, the better budget options can be found outside the park while inside you are going to find anything from luxury chalets to basic campsites. 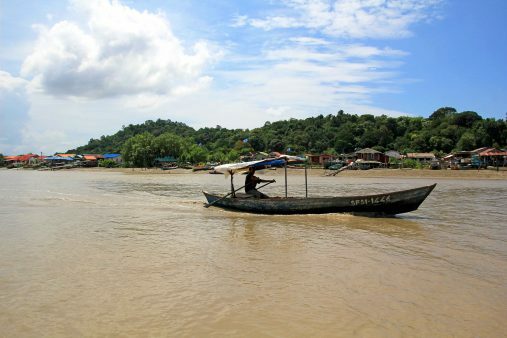 All in all, for us, Borneo was just an incredible adventure and we can say it’s a real paradise for backpackers. 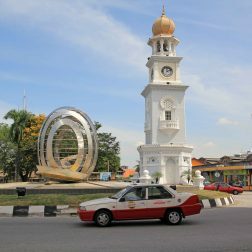 Borneo is located on the other peninsula of Malaysia and cheap flights are offered amongst others from KL to both, Sarawak and Sabah. 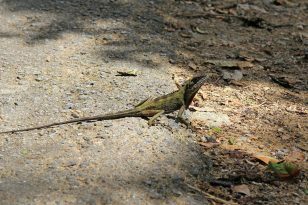 We were inside of deep jungles, we saw plenty of wildlife and we were on top of the highest mountain of South East Asia. Thanks for your nice words 🙂 I am sure you would love it there! I’ve only been to Kuala Lumpur, so would like to go back and see more. The islands in Malaysia look so wonderful, how lucky you are to travel there! My sister is getting married in 2018 and she’s considering honeymooning in Malaysia! I’m passing her this article because I know she’ll enjoy it, you made great points and your photos are awesome! Bookmarking this too! We are happy you like our article! Wow – honeymoon in Malaysia sounds amazing – a fantastic idea by the way. I love all the beautiful bright colours in your pictures! Malaysia is on my travel wishlist so ill be pinning this page for future reference! Lots of choices, many backpackers and cheap… my kind of place! The islands sound like a perfect place to visit! Thanks for sharing. 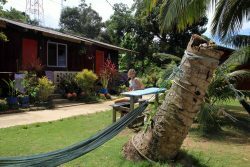 Hey Angela – you are welcome 🙂 – you are right – Malaysia is the perfect backpacker country! I am big fan of Malaysia and I have been 4 times but I have not yet seen the Cameroon Highlands. I must make sure I add it next time because your photos look fantastic! These sound like all great reasons to go. 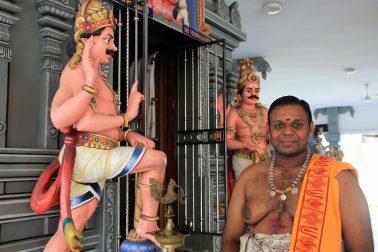 Would love to see Batu Caves in person. Stunning! oh yes, the Batu Caves are incredible! For us they are a must see in Malaysia. 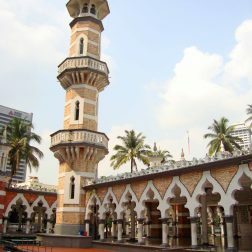 I went to Malaysia on a cruise and visited some of these cities. However because of limited time I missed out on Batu Caves in KL. 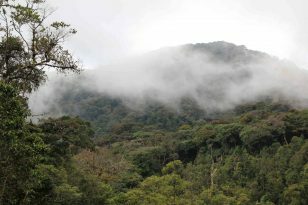 Would also have loved to visit Cameroon Highlands your pictures are so lovely ! 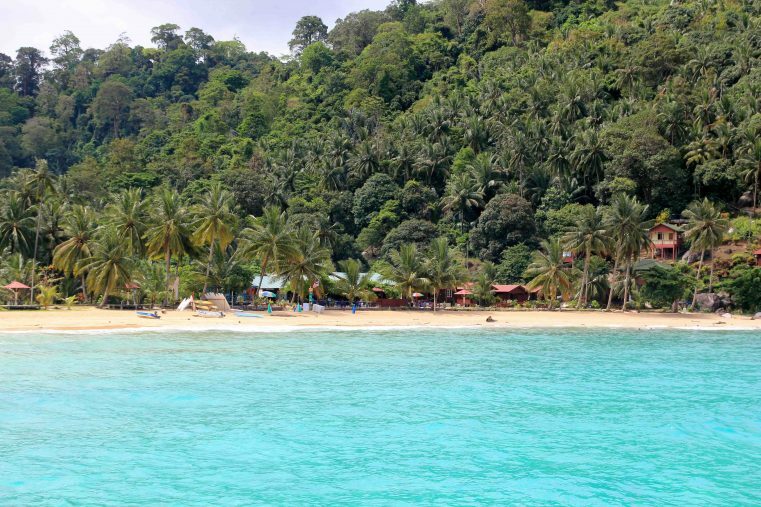 And Tioman islands also look pretty awesome. I made a friend from Borneo recently and she told me I must visit. So I now have a list of places to go on my second trip, thanks for this inspirational guide! you are so welcome! Thanks for your kind words – we are happy that we can help you with planning your next journey to Malaysia. At some point in my life, my husband and I will get to Malaysia, but we went to SE Asia last year, so we probably won’t go back for a few years. But from what I see in your photos, it needs to go on the TO TRAVEL TO list! Thanks Gigi 🙂 – thats really nice! I am sure you won`t regret it! I agree, everyone would enjoy a trip to Malaysia. 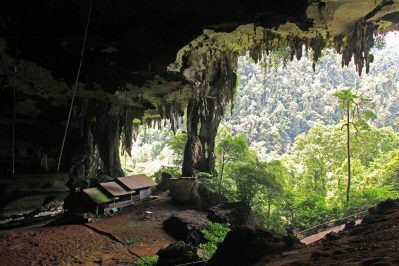 We visited Borneo and Taman Negara, because well, Malaysia has some amazing wildlife and adventurous outdoor spots. We’ve loved it all. i love Malaysia and I go there alot when I travel back to Australia as I have family there. 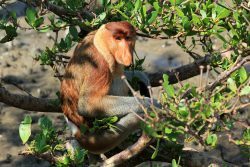 I was only in Borneo in September on a presstrip and loved it. You have some great highlights on here and places that I have always wanted to go back and revisit again the Batu Caves. 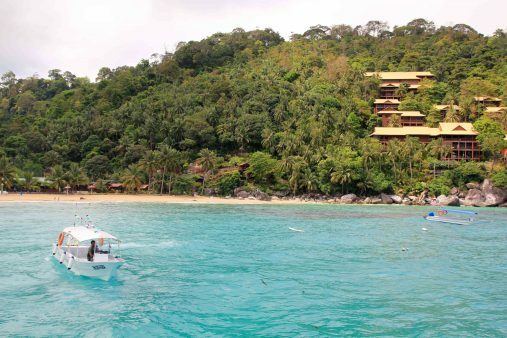 I have not been to Tioman Islands but gee that sounds nice and that water looks inviting. Thanks for your kind words Mel 🙂 – happy you like the blog post. We really loved Borneo too. 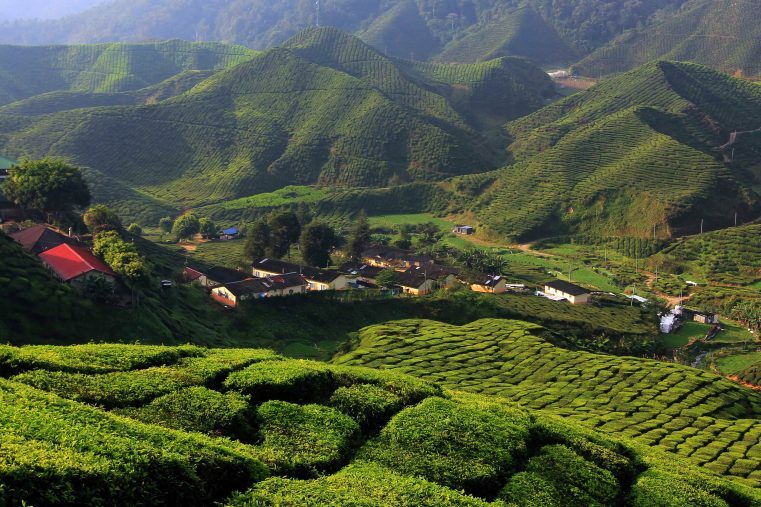 I’ve never seen anything like those tea plantations. Everything looks beautiful. I know, they are so cool! We really loved it there 🙂 – thanks for your kind words! Thats so cool – have you been up to the mountain? We really liked Kota Kinabalu too!